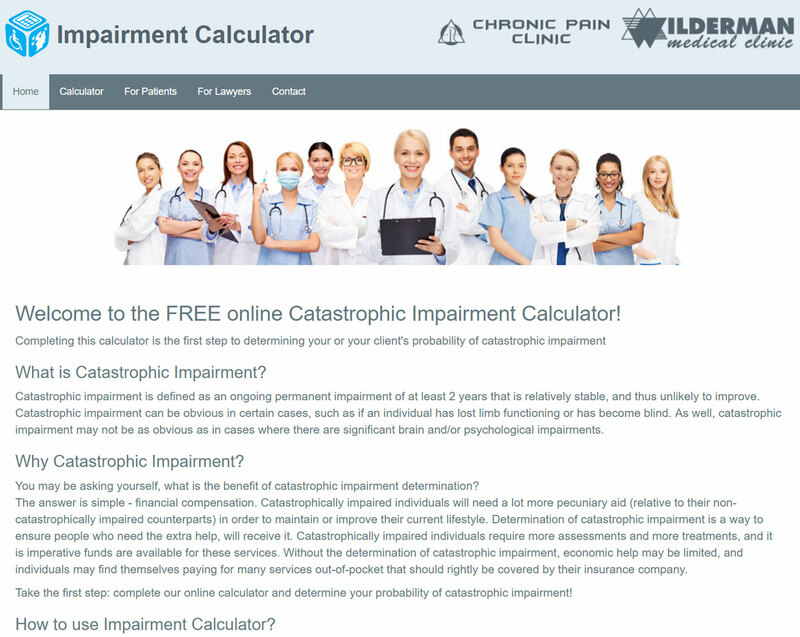 The Impairment Calculator (http://impairmentcalculator.drwilderman.com) is a web application that is used as a tool to estimate the probability of a catastrophic impairment. The user interface was designed using Photoshop and Illustrator. The application is a multiple choice questionnaire, where order and number of questions depend on a user's answers to previous questions. The questions, answers and order conditions are saved in a JSON file. To make updating of the questionnaire easier, the JSON file is generated from an Excel Spreadsheet (CSV). The project scaffolding was done using Yeomana and gulp-angular generator.